Vedas were revealed to the rishis as they moved into silence, away from the noise of the physical world governed by the five senses and limited (7-8%) brain. They were revealed in the language of gods, by the gods themselves, the energies which run Creation. Perhaps, the reason why, they are unchallenged till date. The modern science which refutes its own theories every five to seven years, is only growing to reconfirm the theories and concepts which were revealed to the rishis thousands of years ago – the Archimedes principle was known to Rishi Kanad eons before Archimedes, Pythagoras theorem was detailed in Sulbasutras much before Pythagoras, Sushruta had mastered human anatomy and surgery much before advent of modern surgery, much before the ‘Copernican’ Revolution our rishis told us Sun was at the center of the solar system and also gave the distance between the sun and earth…These rishis also gave us the science of ‘Vaastu-Shastra’, which takes a leap from modern architecture to take into account the realm of energy, when designing a space to live, work, play or pray. ‘Vas’ in Sanskrit, which is the language of gods, translates as ‘to dwell’. Vaastu Shastra is the science of dwelling. It details the principles of design, layout, measurements, ground preparation, space arrangement and spatial geometry for houses, towns, cities, gardens, roads, water works, shops and other public areas. 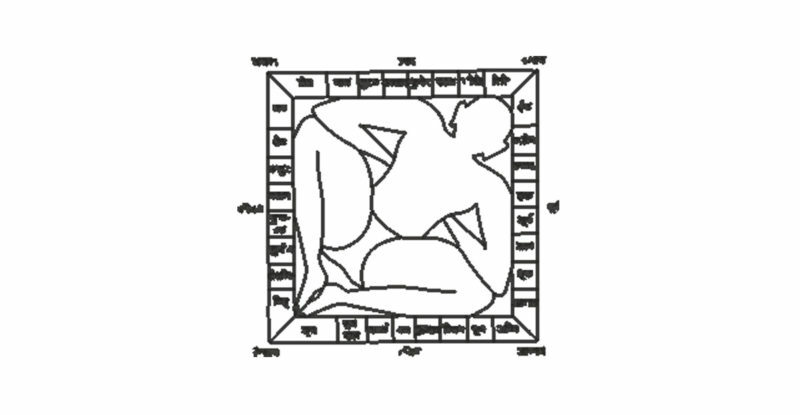 Based on nature and striving to achieve balance between various forces of nature, the science of vaastu takes into account the five elements (earth, water, fire, air and ether) and ten directions (north, south, east, west, north-east, north-west, south-east, south-west, space and pataal). Earth (Prithvi Tatva) plays a pivotal role in our survival – it is the brick and mortar of our being, quite literally! Same applies to the buildings we live in. The land on which the building rests, the soil, the material that is used for construction of various elements, all play an important role in determining the life of the building and health of its inmates. South-West (SW) is assigned to Earth. It is the most stable of all elements. Keep it heavy. It is ideal for the master bedroom. Water (Jal Tatva) controls the aspect of fertility and growth – our body and even planet earth is 3/4th water. It is therefore important to ensure the place of the building as adequate supply of water, and the construction is done in accordance to supply of water. It is also extremely important to plan the outflow of spent water from the house or building, and as well as slope of various surfaces so that the water does not stand and breed disease. North-East (NE) is assigned to Water. Have a bore well or an underground water tank in that direction. Fire (Agni Tatva) is responsible for fueling all actions – as sun providing heat and light to the world, as digestive fire providing energy to body, as fire of tapa fueling the spiritual journey. To enhance the productivity and efficiency of various operations in a building as well as for well-being of the residents it is important to channelize the fire element in a judicious manner. Care should be taken to allow ample sunlight in the space, and to work out a structure that withstands the changes in time of day and season. South-East (SE) is assigned to Fire. Have your kitchen, pantry, furnace, boiler there. Air (Vayu Element) is the most mobile of all elements, it is also the carrier of maximum disease in the body. It is the primary source of vital breath for humans. In a building, care should be taken to ensure every part of it is well-ventilated, there is regulation of temperature and pressure, there is protection from winds, the direction of flow of air and outlet for congested/heavy air are also essential. North-West (NW) is assigned to Air. Have a guest-room or bedroom for unmarried girls or a store for finished goods in that direction. Space (Akash Tatva) is the element which houses all of the above elements, it also houses thoughts, sounds and other energies. The shape, size, spread, dimensions of the building should be conducive to maintaining a balance between various elements and energies. Centre is assigned to Space. Have least possible activity in this area.